For buying gigabit PoE switch, we usually concern about port numbers. However, power consumption is often linked with port number to cater for different wattage requirement. Say small PoE switch 8 port may come with 130W or 250W for option. High port-density 48 port PoE switch may be available for up to 600W or even higher. A midsize 24 port PoE switch with appropriate power consumption will be a feasible solution for wide network applications. Since a power over Ethernet switch failing to provide enough power for Powered devices (PDs) leads to low performance or random drops. On the other hand, for cost-effective concern taking a 24 PoE switch with superfluous power budget will waste money. This article will introduce PoE switch power consumption and recommend 2 24 port PoE switch with different power consumption: 400W vs 600W for your reference. Power consumption of 24 port PoE managed switch refers to the max. total power the gigabit PoE switch enables to supply to all the PDs connected to it. That is, the total power wattage of all the connected PDs cannot exceed the power consumption of the 24 port PoE switch. So before deciding on how much a power consumption of PoE switch to buy, one must calculate the total power wattage of the PoE powered devices required to be used. Another indispensable parameter of 24 PoE switch is the per PoE port power consumption, which is defined by PoE standard (IEEE802.3af) or PoE+ standard (IEEE802.3at). The PoE compliant switch supports up to 15.4W per port output power, while 12.95W input power is available for a PD due to transmission loss. Similarly the corresponding data of a PoE+ switch is 30W and 25.5W. 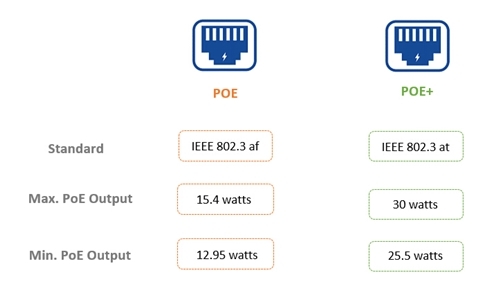 Figure 1: 24 port PoE switch power consumption PoE vs PoE+ standard comparison. 24 port PoE switch 400W vs 600W power consumption apply to different level power wattage. Taking S1400-24T4F 400W and S1600-24T4F 600W PoE switch 24 port as example, let’s compare the scenario when fully load these two 24 port PoE gigabit switches with IP cameras. Divide 400W and 600W by 24 respectively, we get 16.67W and 25W per port power, which means the 600W over 400W power consumption 24 port PoE+ switch can support 24 higher-power IP cameras. The suggestion is: If you should use dozens of higher-power PDs, the 24 port PoE switch 600W would be a more secure and future-proofing choice. 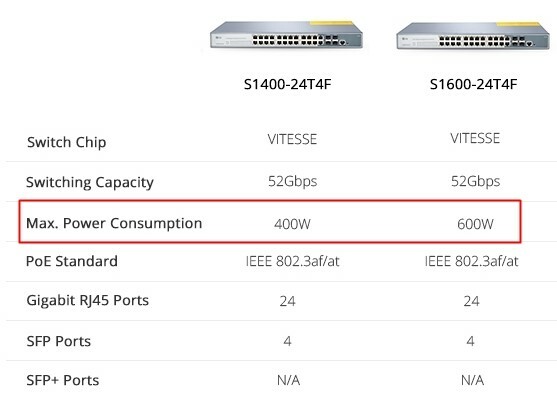 Figure 2: FS 24 port PoE switch power consumption 400W vs 600W model comparison. Here we recommend the aforesaid advanced FS 24 PoE switches S1400-24T4F 400W and S1600-24T4F 600W for your reference. Compliant with IEEE 802.3af/at, these 24 port PoE gigabit switches can discern whether the PD is PoE or PoE+ standard for accurate power supply. This means FS 24 port PoE switch can supply up to 30W per port power, making it a natural fit for IP cameras, VoIP phones and wireless access points (APs). In addition to high power consumption PoE capability, FS 24 port PoE managed switch features multiple port configuration to fit throughout different networks. The gigabit PoE switch centralizes 24 RJ45 auto-sensing 10/100/1000Mb PoE ports, 2 1Gb SFP ports and 2 SFP/RJ45 combo ports in a compact of 1RU form factor. The 24 PoE ports support up to 24 PDs simultaneously connected to the 24 port PoE switch within budget. The 2 SFP ports ensure optional fiber cabling and link aggregation of multiple switches, while the 2 SFP/RJ45 combo ports enhance network resiliency once again. In total one can enjoy a max. 1GbE density of 28 ports. 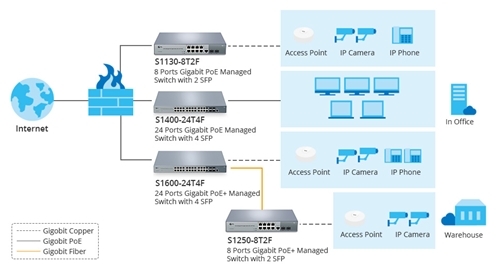 Figure 3: Deploying 24 port PoE switch S1400-24T4F 400W and S1600-24T4F 600W for desktops, APs, IP cameras and IP phones in data center. Power consumption is an important specification for choosing a good but cheap PoE switch. For choosing 400W vs 600W PoE switch 24 port, one should first figure out each PD’s rated wattage as well as all the devices’ total power budget. Then make sure a single IP phone won’t exceed the per port power consumption of the 24 port PoE switch, and the total wattage won’t exceed the max. power threshold of the 24 PoE switch. If S1400-24T4F 400W is not enough for current applications or future AP proliferation, then go for S1600-24T4F 600W model. All in all, whatever you choose, 24 port PoE switch price in FS.COM will always be competitive in the market. This entry was posted in PoE switch and tagged 24 poe switch, 24 port PoE gigabit switch, 24 port poe managed switch, 24 port poe switch, poe switch 24 port by Sylvie.Liu. Bookmark the permalink.